In the hot summer days, one event that always attracts a crowd in the heat are car shows. People gather in a lot outside, or in an over-sized gallery to look at some of the latest rides. But sometimes, you may even see a few relics: hot rods. These cars have customization written all over them. Oversized engines popping from the front, flame decals, or even hyper-stylized rodents painted on are just some of the details that define this community of car enthusiasts who live and breath motor oil and make it their life’s work to build their own modes of transportation. What people don’t often realize is how hot rods and hot rodding is practically a footprint of American history that has just started becoming a more open and accessible community thanks to things like technology and social media. But how far back? During the Great Depression, hot rods became a way for people who couldn’t afford the luxury cars of the wealthy. Using the mass-produced Ford Model A’s and Model T’s, these souped-up cars were stripped of their parts to improve their speed and performance. Of course, with these speedy new hot rods gave rise to the culture, and after the end of World War II it became a postwar trend, especially in places that were abundant with auto shops and mechanics. In fact, California has been considered by many auto historians as the birthplace of hot rods and hot rodding because of this. Before we delve into the changing community of hot rods throughout history, we should probably mention the origins of the term. Hot rods and how it became the word for these modified vehicles has been contested over the years. Some say it was based on how the word “hot” was used when a car was stolen back in the 30’s, and would be modified and stripped down so much, that it could not be recognized as the stolen vehicle, thus becoming a hot rod. However, others have also added that the word comes from the way the word hot can be slang for cool just like how “sick” became a term for awesome. Whether you agree or disagree, several of these factors were likely to have been what made what we call hot rods so iconic. But where did the culture go in the rest of time, and where is it going now? As mentioned before, hot rods were just a way for lower classes and more skilled gearheads to make souped-up rides that could outrun any of the wealthier automobiles bought up by the upper class. In the decades that would come, the economy would play a vital role in where hot rodding would go for its flourishing community. Will highlight a few of these decades chronologically, from the 1960’s to now! 60’s: After World War 2, hot rod culture entered this sort of golden era. During the 60’s the introduction of muscle cars by Detroit Motor City gave more recognition to the hot rodding community. One thing to note from this decade is the art of hot rods. A prominent artist that would help jumpstart the Kustom Kulture for hot rods, Ed “Big Daddy” Roth, he sold these detailed cartoon monsters that were airbrushed on t-shirts and even decals. However, the one that made him popular was the character of Rat Fink, who was a green, twisted version of a Mickey Mouse that would become the icon of the Kustom Kulture movement and diverted hot rods into many sub groups that were represented by their clothing, art and cars. 80’s: During the 70’s, popularity in hot rodding went down due to OPEC oil embargoes, but not without creating a new group of auto lovers, that would emphasize on customizing the interior and exterior design of their hot rods rather than their engine (this would later evolve into the street rods we know presently). Even then, popularity slumped down yet again in the 80’s. This gave birth to a number of nostalgic hot rodding communities that pushed away from the counterculture of street rods by preserving the 1950’s American icons that were what some would call the “original” hot rods. Because of these new communities of hot rods, it became clear that the culture would eventually hit mainstream. 90’s and Present: The 90’s spelled for a more reborn style of what made hot rods, well hot rods. These throwbacks included souped-up creations that would include the “rust” look rather than a new paint job, as well as attracting the youth at the time. The need of bringing it back to its roots would also lead to dressing and acting the part, which meant greased hair, retro clothes and 1950’s music. In the early 2000’s, it became clear that hot rodding would become part of the global conglomerate, especially with the likes of auto enthusiasts. Shows like American Hot Rod brought the community into the mainstream light, but also birthed the new evolution of hot rods, which were known as street rods. Street rods are the family-friendly equivalent of the hot rods we know today. Unlike hot rods, street rods are not meant to be customized for their speed and for races, but more about the look and leisure novelty. Street rods are typically what you see now in car shows and have been the general audience version of the more crass and rough exterior of earlier hot rod culture. What the culture of hot rods have given us! But where else is there to go? Hot rods will likely never go down due to the current growth in the economy, as well as its global spotlight with car lovers everywhere. From its humble beginnings to its stylistic innovations, hot rods and its culture will perpetuate and continue to have a fresh community if people continue to admire the hobby of hot rodding. 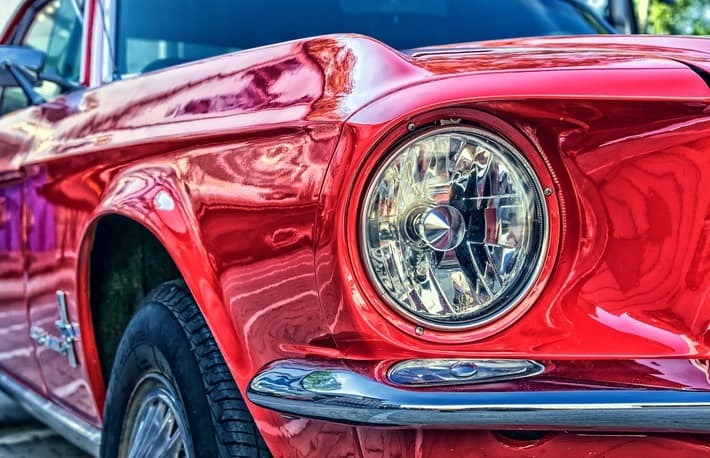 Whether you prefer hot rods, street rods or the other intricacies of hot rodding in Kustom Kulture, there is plenty to look for in this niche turned mainstream trend.